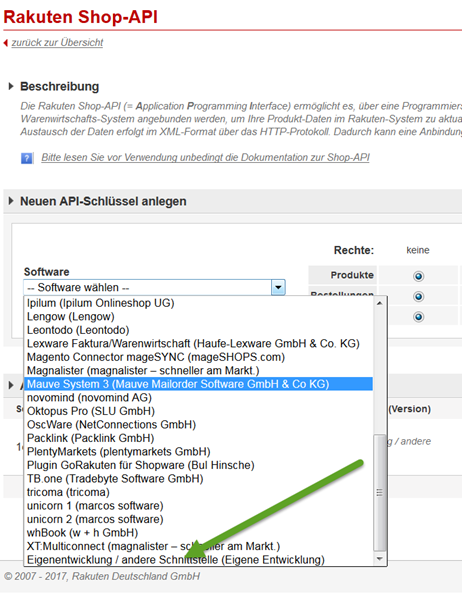 Scroll down the list of API keys and select Custom Development / Other Interface. 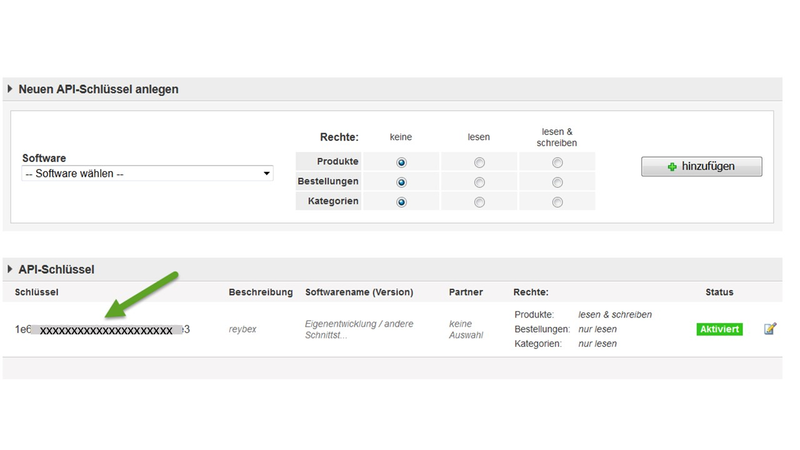 In the field Software your selection own development / other interface is now displayed. Enter reybex in the Software field. Assign access rights in the columns on the right by clicking on the grey circles until they turn blue. Confirm your entries by clicking the +add (+ hinzufügen) button. Your API key is now displayed (green arrow). Select the API key with your left mouse button and copy it with the keyboard command Ctrl + C.
Make sure that the status of the key is activated (highlighted green field on the right side). 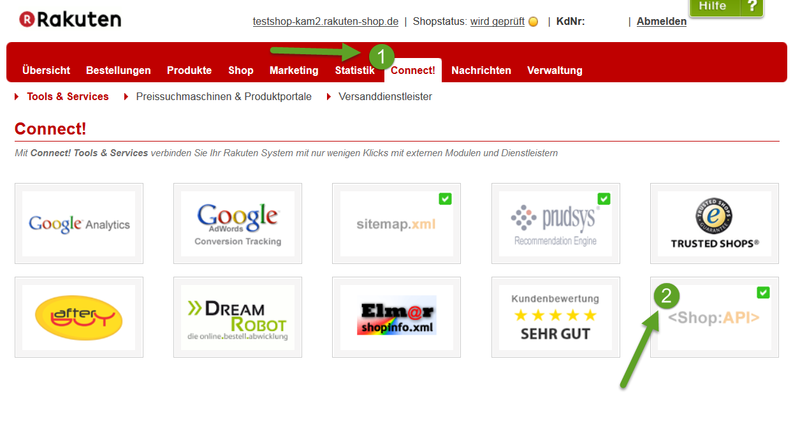 Click on Available Marketplaces and select Rakuten. Enter an internal name for your Rakuten shop. Click the checkbox Active to activate the connection to your marketplace. Enter the previously created API key. Click Rakuten connection test to check if reybex can connect to your Rakuten account. Please note: If you enter your data via Copy&Paste, please make sure that you do not copy any spaces. This will cause errors in the connection to your Rakuten seller account. Fill in the following forms. Keep on clicking on Proceed. > click Finish in the final form. Under Import Categories, click Read categories and import your Rakuten categories to reybex. Click Save and start article import.